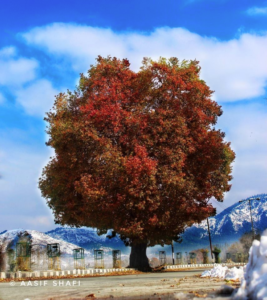 The beauty of Kashmir is only ruined by the presence of 700,000 Indian soldiers & nearly 450 torture centers. 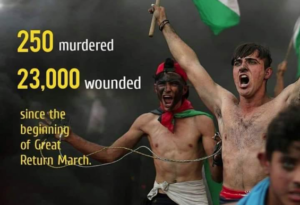 Gaza News corrects Al Jazeera on death & injuries at the Great Return March. Just a reality check for those who claim voting for Democrats is a do or die proposition: to a person, Democrats support Israel against Palestinians & are not a lesser evil for them. Palestinians are not an ‘international issue’ or an accessory in progressive politics but are among the most important freedom fighters of our times. If you stand against them you are part of the problem no matter what the hell you say against Trump. 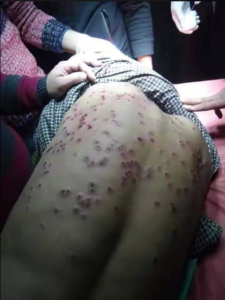 Recent victim of pellet munitions in Kashmir: if we do not stand with Kashmiris in their fight against pellet guns, protesters will be facing them in our own countries. Solidarity is not just the iron law of social transformation; it is the rubric of self-preservation . The young Palestinian in the iconic photo was injured by an Israeli sniper today. What do you bet they were gunning for him & hoping to disable or kill him? 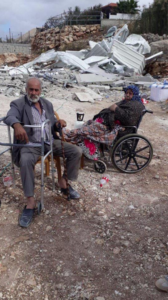 A Palestinian couple with special needs whose home was demolished to make room for Zionist settlers: such is the heritage of the Oslo Accords which legitimized occupation & colonial dispossession. Beware US-brokered ‘peace negotiations’ which have only ever opposed Palestinian self-determination. t is absolutely pernicious how FB is using the Rohingya genocide to justify censorship & the sweeping deletion of accounts. When it deleted the accounts of Burmese generals (leaving Suu Kyi’s several walls intact), it was not to silence lies & hate mongering but to set the stage for censoring Rohingyas & other freedom struggles. It is important to know what the genocidaires are claiming & social media made that easily available. Now we have to hunt for such information. We have nothing to fear from freedom of speech, even for mass murderers & rapists like the Burmese generals. But mostly, we cannot let the powers-that-be trick us into supporting censorship on social media when the primary targets are those fighting war, occupation, & genocide. That isn’t a naive largesse toward the oppressors but protection for the oppressed.